Air101: WOW air halts all flights as airline collapses. WOW air halts all flights as airline collapses. It's been on the cards for some time, investment talks with Icelandair, Indigo partners and others all failed, its debts rocketed, aircraft leasing firms impounded aircraft due to nonpayment and then finally today, the Icelandic budget airline WOW air went out with a whimper. In the typical arrogant fashion of the egocentric CEO and founder, Skúli Mogensen, there was no heartfelt apology, no sentiments of regret, no words of commiseration to either staff or thousands of stranded passengers, just the blunt message 'End of Operation of WOW AIR' on the firm's website. The airline had huge debts and was simply unable to pay its bills and now the company has ceased operations and all WOW air flights have been cancelled. The collapse of the firm will hit many passengers hard as many will find it virtually impossible to get their money back. Some, however, who paid with a credit card, under Section 75 of the Consumer Credit Act 1974 should be able to claim a refund, they should approach the card company straight away. People who booked WOW air flights as part of a package are protected by the Package Travel Directive if it was with a European travel firm, agency or tour operator. Passengers booking with an ATOL bonded tour company in the UK will also be covered and should contact that tour operator. 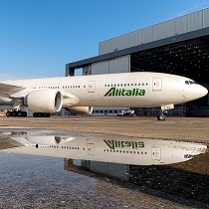 Passengers also may be covered if they took out special Scheduled Airline Failure Insurance, check with the insurance company, other travel insurances may not or may not include SAFI and people should check their policy wording carefully. WOW air's main competitor Icelandair has confirmed it was aware of the situation at WOW air and as result has set up discounted Economy fares for stranded passengers en route to, from, or through Iceland. 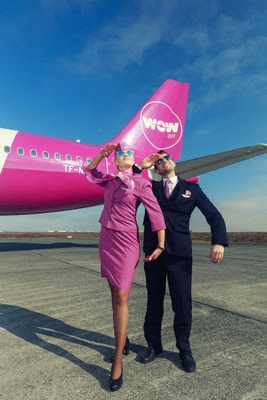 These fares will only be available for passengers who have a return ticket with WOW air between 28 March and 11 April 2019 and WOW air passengers need to contact Icelandair via its website or calling a special hotline Iceland or Europe, call +354 50 50 200 - North America, call + 1(800) 223 5500. Norwegian is also offering special fares on some routes for those WOW passengers affected by the collapse of the carrier, for travel up to the 8th April. The fares are roughly 25% cheaper than the standard fare and proof of WOW air booking must be supplied. Other airlines are also looking into offering special repatriation fares for stranded WOW air customers, however, no details have yet been issued.